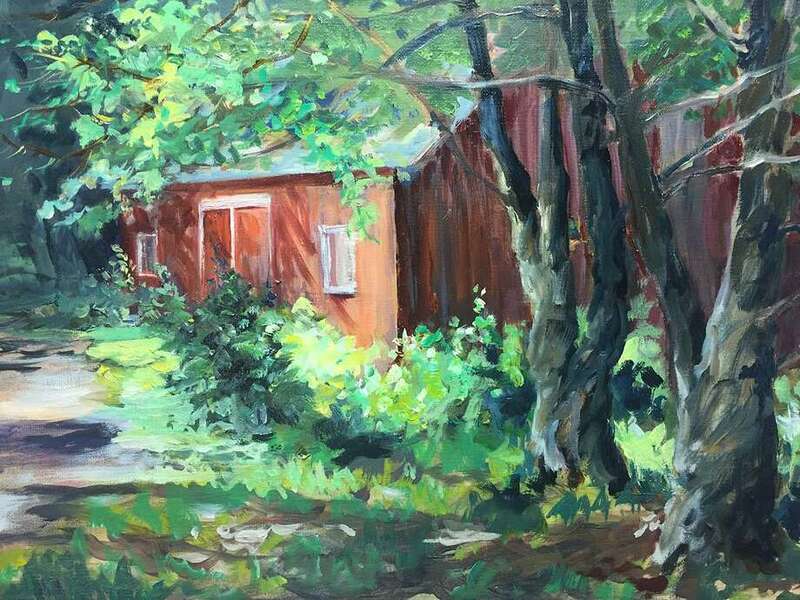 Sherman Library is exhibiting a show by a group of Great Hollow Artists through Oct. 3. An opening reception will be held Aug. 24 from 6:30 to 8 p.m. at the Jewish Community Center, 9 Route 39, Sherman. Above is “Great Hollow Barn” by Betty Ann Mediros.